Jesus Sanchez share his EC experience! 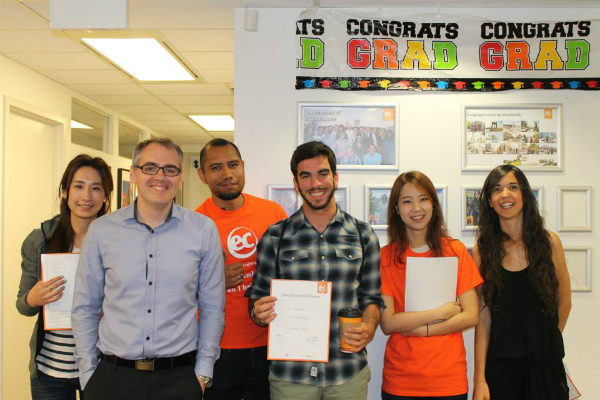 Jesus Adolfo Sanchez Uribe from Mexico shares his experience while taking TOEFL exam preparation course in Vancouver. I chose EC for the TOEFL preparation program and for the location. Sometimes it’s difficult living in another country far away from home, most of the teachers know what that’s like and they understand the students, that’s why I appreciate the teachers a lot. My most unforgettable memory of EC will probably be the multicultural environment not only at school but also in the city of Vancouver. The city is amazing there is always something to do, beautiful landscapes to see and for me, a music lover, something to listen to on every corner. Of course I would recommend EC to a friend because it’s an excellent school and I really feel that my English has improved. Last year, I was living in Texas for 6 months , U.S.A and now I feel that I have learned more in this English Centre. Do you want to study English? For Jesus, learning English in Canada was the right idea, if you think the same, have a look to our English Courses in Vancouver!